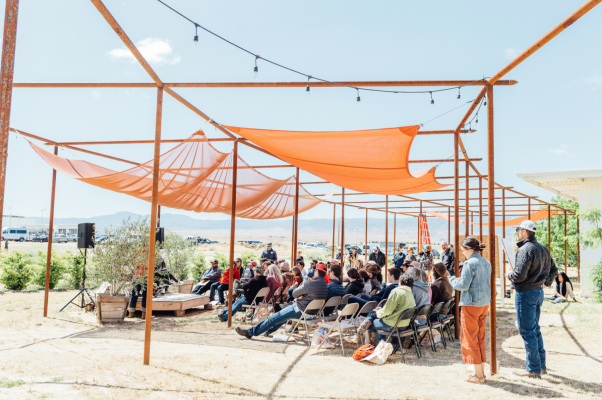 A beautiful event area has been curated by desert fellows to utilize the unique architecture and the mountains desert backdrop. 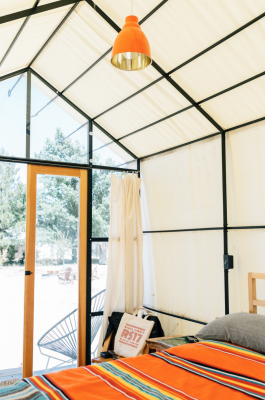 Just two hours from crowded Los Angeles, we are nestled between the Sierra Madre and Caliente Mountain ranges in the high-desert of California's famous Central Coast. 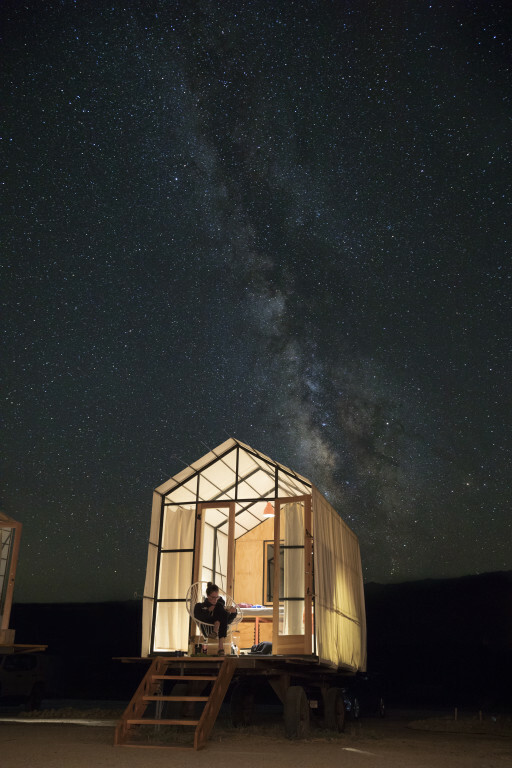 We're opening up the wide vistas, starry skies, expansive lands and quiet ambiance to you. 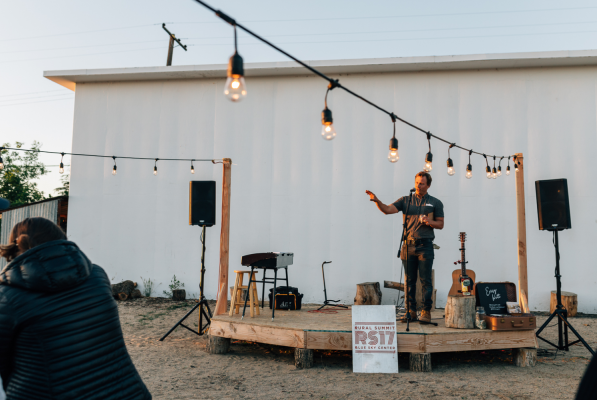 We believe rural places and communities have so much to offer. 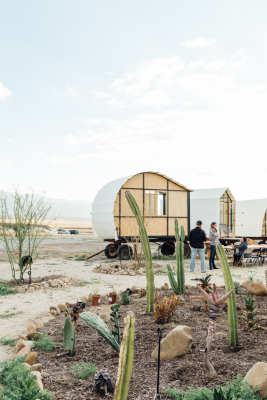 Just two hours from crowded Los Angeles, we are nestled between the Sierra Madre and Caliente Mountain ranges in the high-desert of California's famous Central Coast. 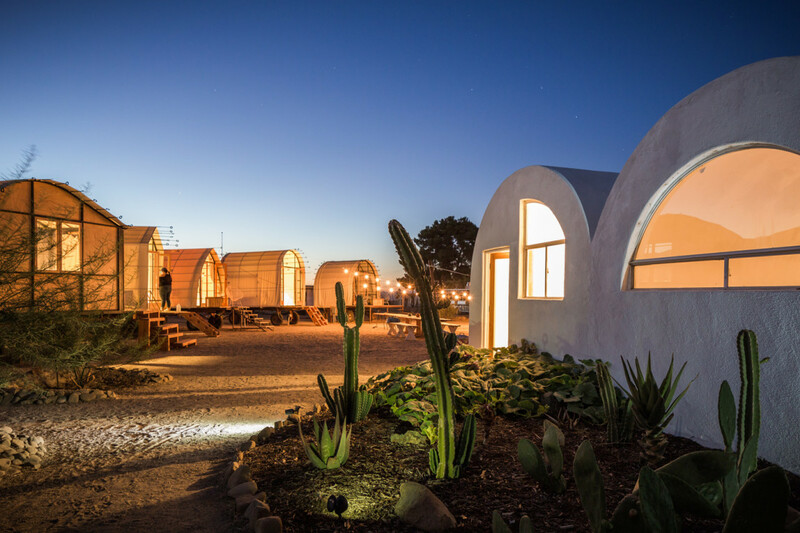 We'd like to share our place with you and leave you wanting to return to our desert town. We hope your visit brings you back to perhaps contribute or lay roots in our rural community. 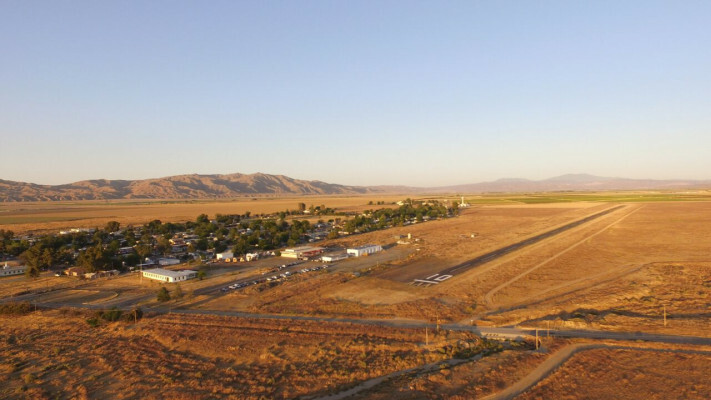 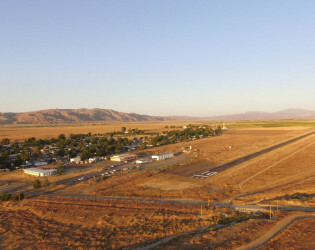 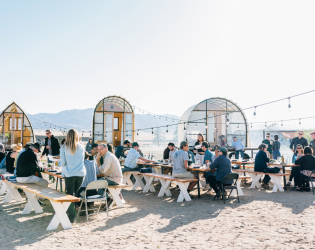 Repurposing the old ARCO facilities in the townsite of New Cuyama, CA Blue Sky Center is a nonprofit focusing on regenerating the community. 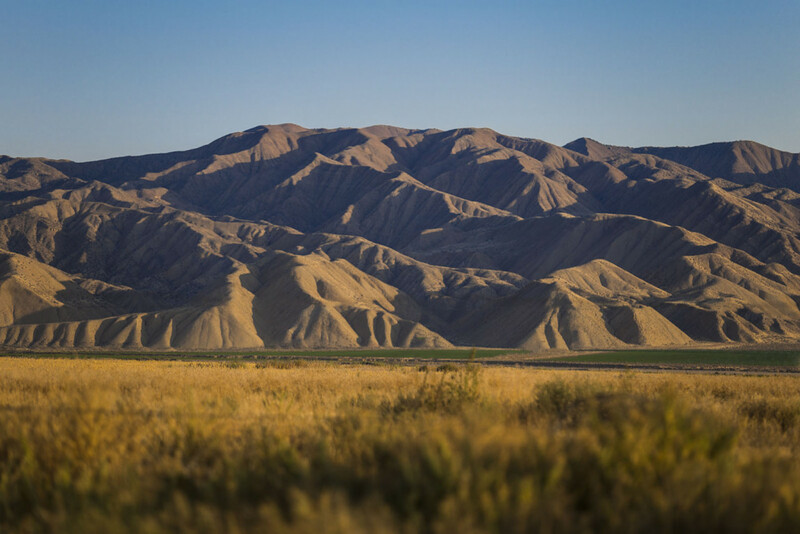 Our organization is on the outskirt of town with a view of the Los Padres Mountains that can’t be beat. With clear desert skies, the sunset and stargazing will allow you to clear your head and become present. 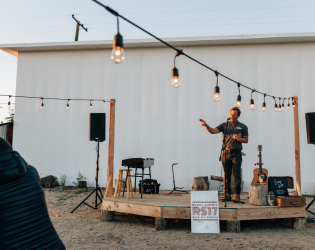 Our facilities include Blue Sky’s flagship building, warehouses, an aviation runway, the Khalili Cantina, Shulton Huts and over 300 acres of farmland! 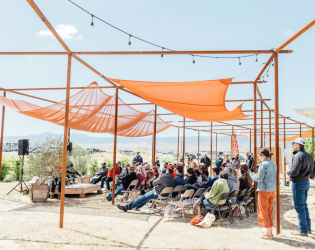 A beautiful event area has been curated by desert fellows to utilize the unique architecture and the mountains desert backdrop. 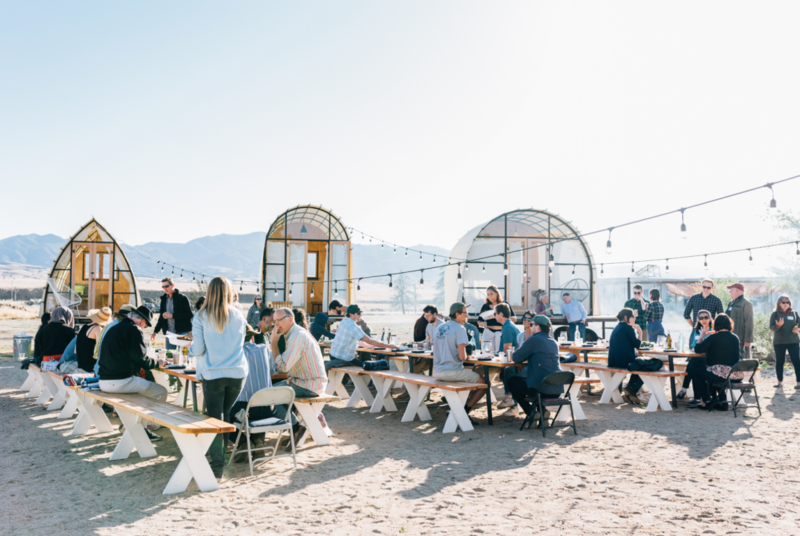 We recently added a commercial-sized catering trailer for events and nutritional classes. 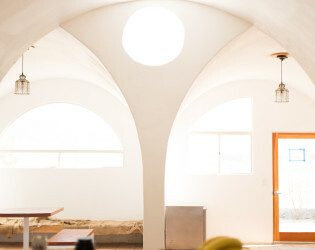 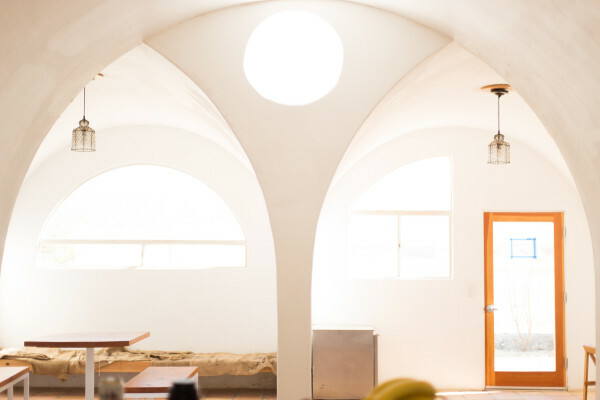 Khalili Cantina: Originally built in 1986 by celebrated Iranian born Architect Nader Khalili, the Cantina is utilized for events, gatherings, and pop-up vending. 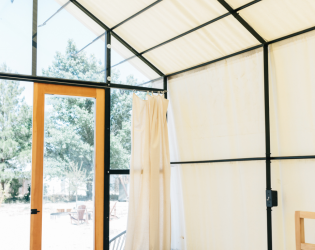 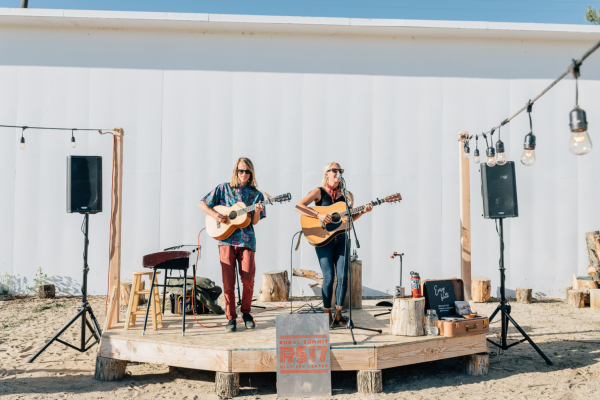 Camp Shelton Huts: Our hut dwellings are utilized for our hospitality venture, private events, and artist in residency programming. 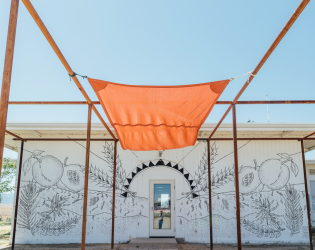 Artist from around the world have found their way to our facilities creating an experience that connects the individual to a sense of inspiration. Booking your event at Blue Sky allows you to give back to the community while making unforgettable memories. 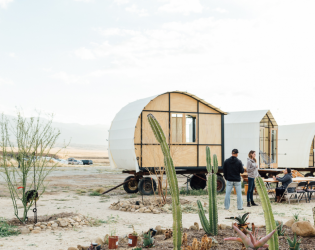 Head out to the high desert of California’s Central Coast and you never know what you’ll find. 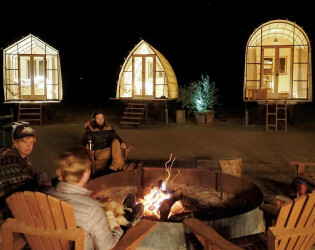 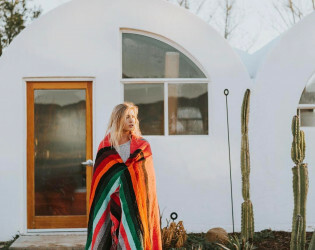 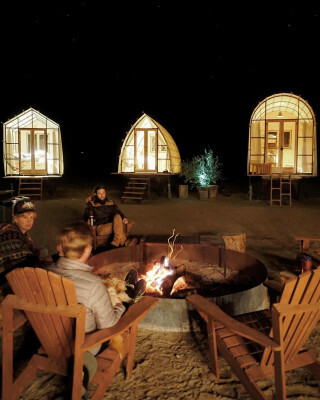 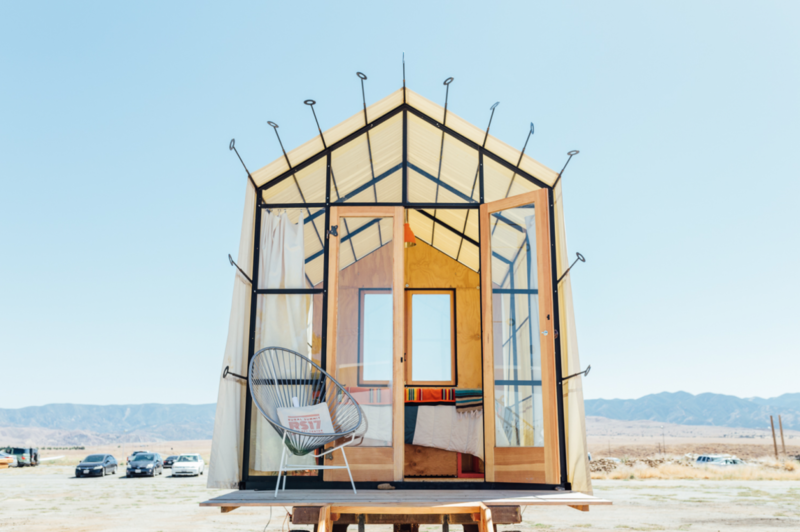 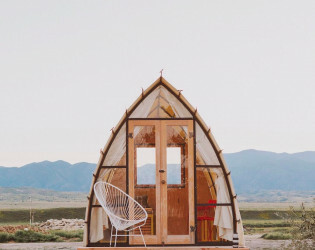 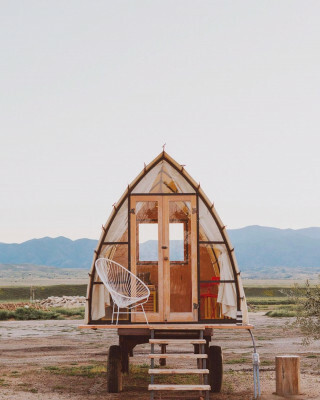 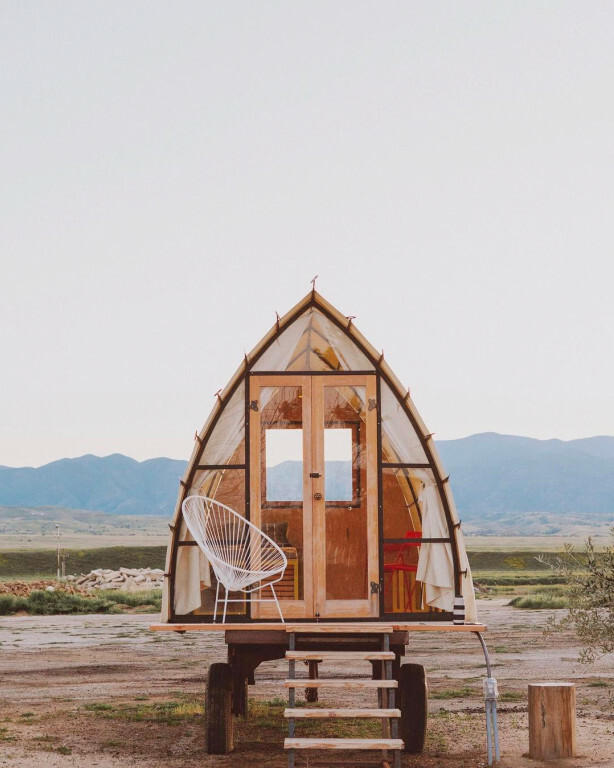 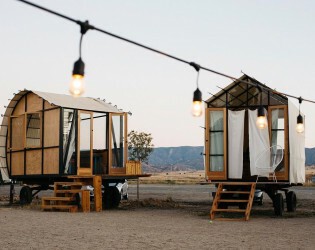 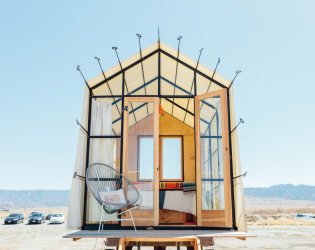 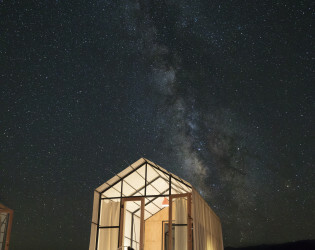 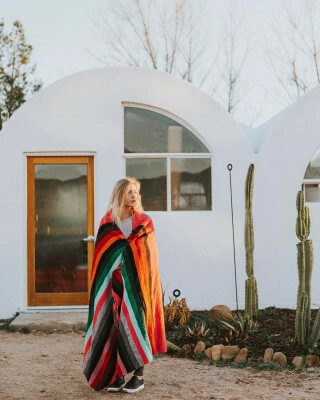 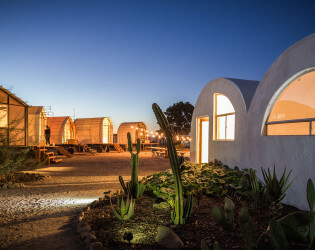 With any luck (and possibly a tip-off), you might stumble upon Blue Sky Center, a gorgeous collection of cool eco huts and unique accommodations tucked away under the starry desert sky. 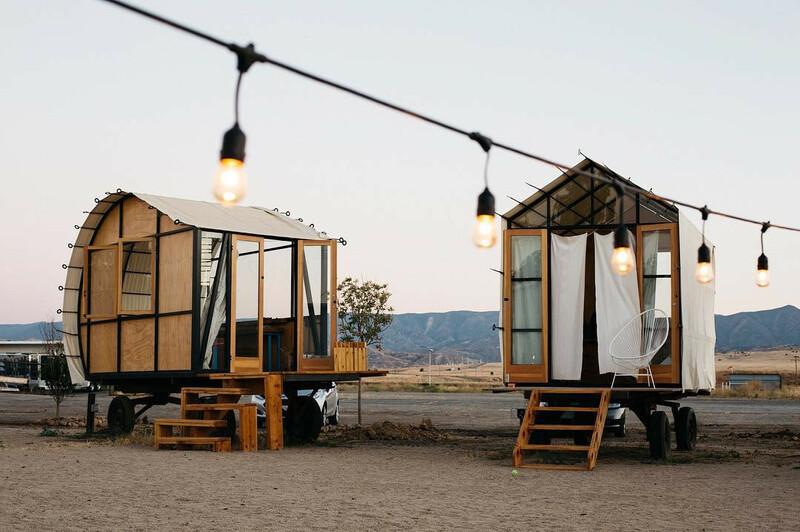 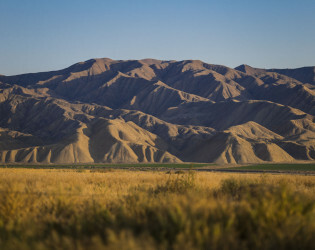 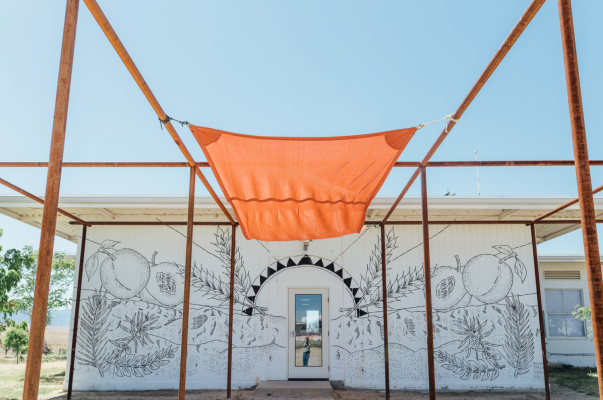 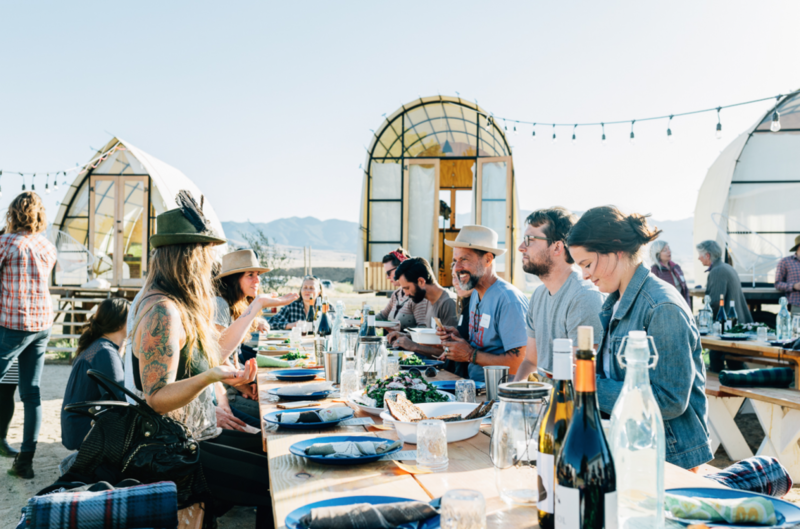 This special spot is doing all kinds of great work in their Cuyama community, boosting up local farmers and artists alike. 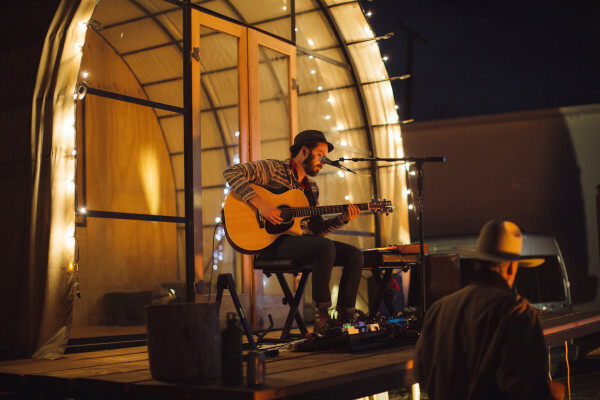 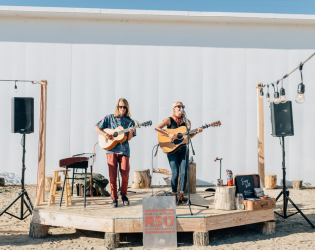 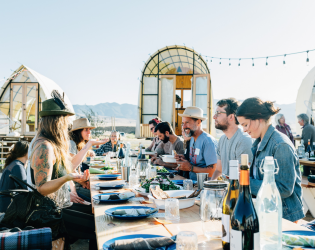 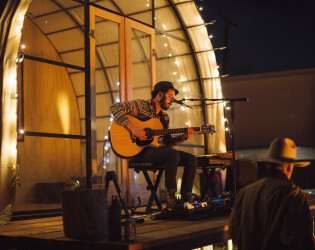 Our friends over at Moonrise Standard recently hosted a farm-forward feast at the desert digs and filled us in on all the details. Here’s the scoop from Moonrise Standard co-founder, Alana Tivnan.